Our largest ever starting field joined us for the eigth edition of the North Downs Way 100. 238 runners hoping to make it to the finish line in Ashford, tackling on route some of the highest temperatures we've ever had at an event. An eventual finish rate of 63% was the fourth highest we've had at this race however a tremendous level of endurance but also race management by the 151 runners who eventually crossed the finish line. 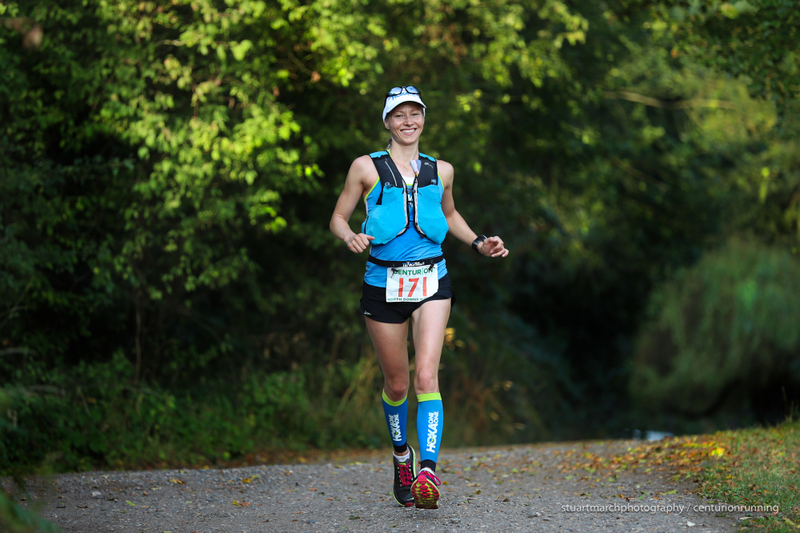 In the womens race, 42 toed the line which is a record for the NDW100. 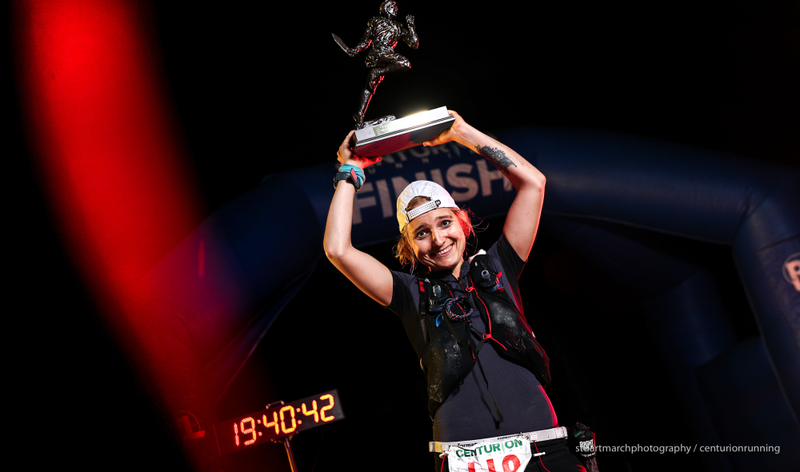 Amongst them, the 2017 champion Mari Mauland, the 2017 CW50 champion Rachel Fawcett, Laura Swanton with two podiums already to her name at our 2018 100 milers and Ingrid Lid who has showed big potential in her relatively short ultrarunning career to date. 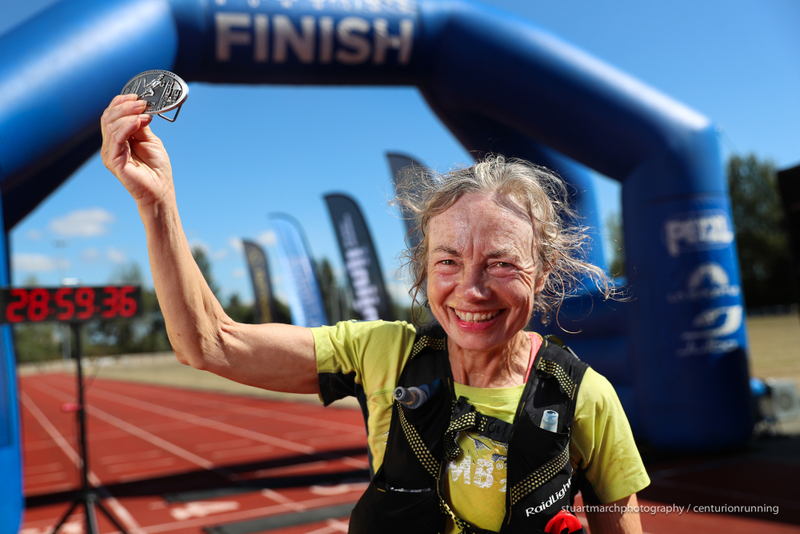 The race was close from the outset, with past champion Mari unsuprisingly heading the way and making it through Newlands Corner CP2 at mile 14.7 in 2:09 elapsed, but already at this stage there was little to choose as both Laura and Ingrid trailed by less than three minutes. It was these three who held the podium positions all day. Rebecca Lane ran close early on in fourth but would eventually drop and Rachel Fawcett ran her usual consistent race to move from fifth to fourth over the course of the day. Ingrid seemed comfortable from early on, but the women always show the men how it's done and we've come to expect two things from our leading ladies in 100s this year, consistent pacing and overhauling the majority of the mens field on the way to the finish line. 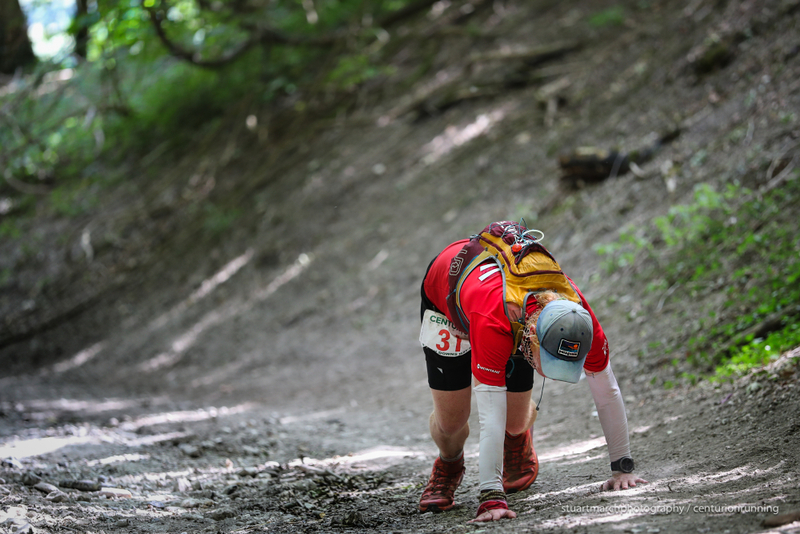 Ingrid passed Laura around mile 40, to move in to second between CP4 and CP5 and by Knockholt Pound, mile 50, Mari still led in 8:31 with eight minutes advantage over Ingrid with the same gap back again to Laura. Over the second half of the race it was Ingrid who seemed to gather strength but the gaps remained fractional all day. By the 100km mark she had the lead and from that point to Detling mile 82, had between a 7 and 10 minute lead over Mari. But by Lenham Mile 91, Mari had reduced that down to exactly a minute. In the final stretch however, Ingrid was able to find that little something extra to make it home first in a time of 19:38 for a win in her debut 100. Mari ran home second just ten minutes down and Laura picked up third in 21:08 for her third straight podium finish. Ingrid Lid lifts the winners trophy in her debut 100. In the mens race, the lead changed hands much more frequently and it was similarly hard to judge how things would play out in the end. Early on it was 2017 mens champ Norbert Mihalik from Hungary who made the pace, passing through Box Hill in 3 hours flat, 12 minutes up on course record splits. Behind him, Paul Russhard was 12 minutes back and bang on record pace with Steve Hobbs hovering a couple of minutes further back in third. Throughout the second quarter of the race, Norbert began to hit some stomach issues and the heat slowed the sharp end off. 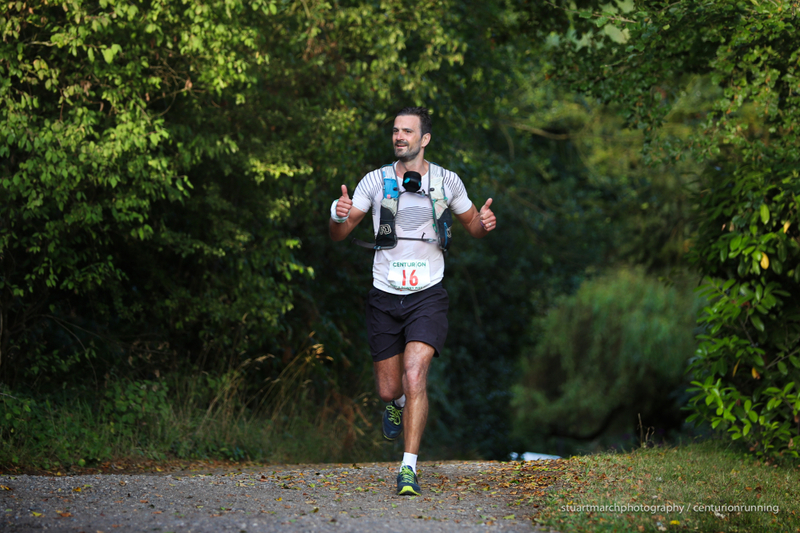 Norbert held on to reach Knockholt Pound mile 50 in first but sacrficed that lead in the check point as he tried to recover. Paul, Steve and Nortbert all eventually leaving mile 50 together in 7:35 elapsed, now half an hour down on record pace. It looked like it could be a war of attrition from this point on. Paul looked most comfortable and had clearly paced this one better than perhaps he has ever done before and pushed through Wrotham first, with a five minute lead over Norbert. Steve Hobbs eventually dropped just past the check point there and that catapulted Matthew Dickinson into third and he looked strong. 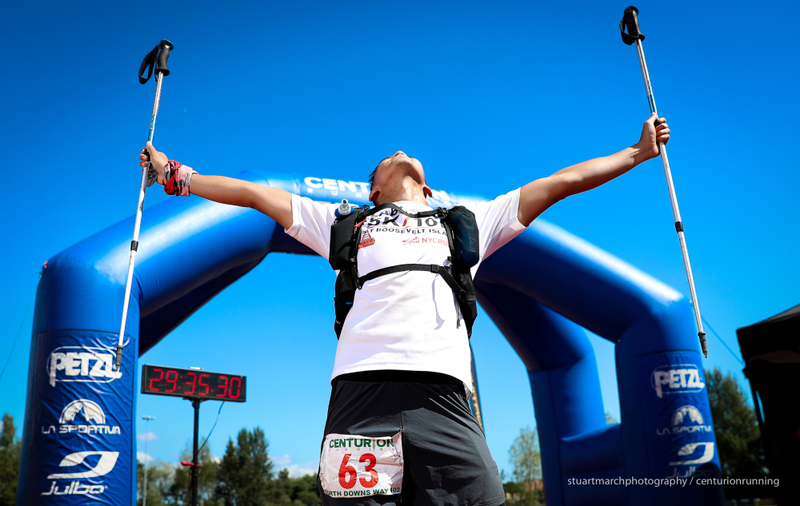 Norbert began somewhat of a death march from there on in and considered dropping multiple times, but to his great credit toughed it out to eventually cross the line a number of hours down on his 2017 effort. Meanwhile, Matt began to close in on Paul with the gap 8 minutes at mile 76, 5 minutes at 82 and eventually passing Paul just before Hollingbourne with around 15 miles to go. At that point he clearly had the bit between his teeth and finished in very impressive fashion, running down the last 13 miles in under 2 hours. His winning time of 17:21 puts him 7th on the all time list. Paul came home in second with a superb 17:53. The battle for third was perhaps the highlight of the day, with James Williams, Steve Speirs and Peter Windross all within a few minutes of each other at the turn off of the NDW with 5km to go. On the very gradual incredibly kind tarmac descent to the stadium it was anyones, but Steve made it in first with 18:52:59, James' 18:53:38 just 39 seconds back and Peter 18:54:33 within a minute of that. The closest podium finish we've ever seen. Patricia Keene broke the FV60 record with a 28:57. With the FV50 category going to Elaine Deane in 28:01. The FV40 went to Mari in second overall. 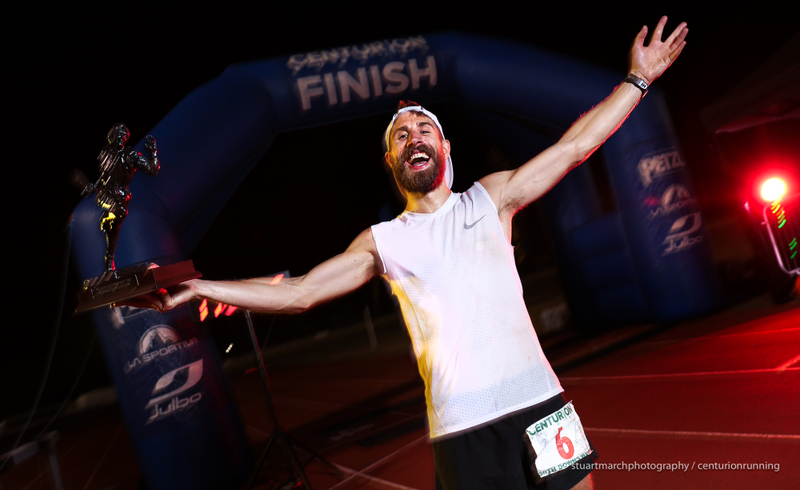 In the other mens categories, Steve Speirs shattered the MV50 record, his 18:52 literally hours ahead of the previous best. 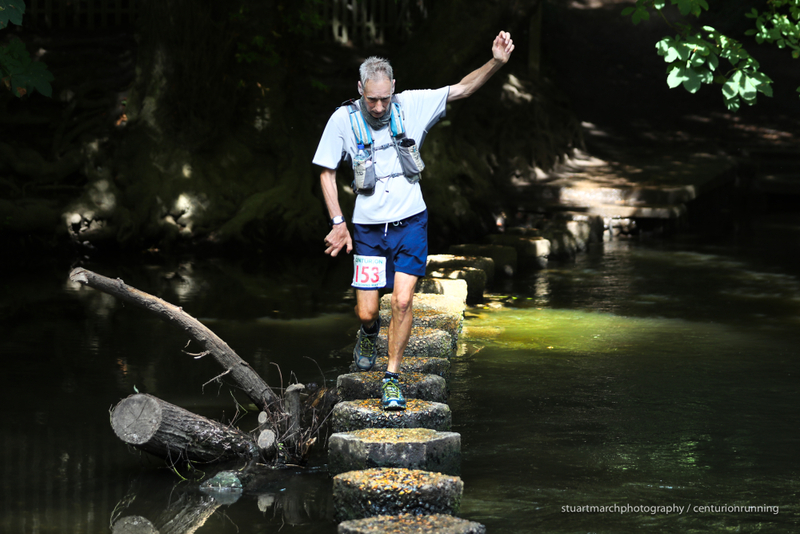 The MV60 went to Ken Fancett in 24:07, Ken has finished this event 7 times and won his category every time. Peter Windross in 5th won the Mv40 award. One other notable mention, David Thompson finished this event for the 8th time in 8 editions. He is the only person to have finished all editions of this event. Long may his streak continue. As always our greatest thanks to the volunteers who made the event what it was. Provision of countless extra litres of water, bags of ice, ice lollies, fresh fruit, coke and everything else runners could require literally enabled many to make the finish line when they otherwise would have failed. Thank you also to our key sponsors for making this happen. La Sportiva, Petzl, Ultimate Direction, Injinji and Julbo. Runderwear, whose team crewed the Wrotham check point. And Tailwind Nutrition. 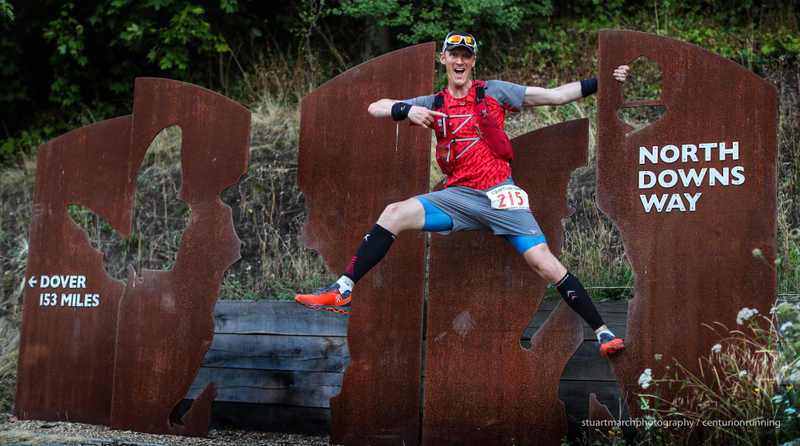 For whom in charge of Tailwind in the UK Mike Julien crossed the line in 151st place for his third finish of 2018 and kept his grand slam hopes alive by 14 whole minutes. Congratulations to him. There is one more 100 in 2018, the Autumn 100 which caps off the grand slam in mid October. Before then our third 50 of the year, the Chiltern Wonderland on September 15th.